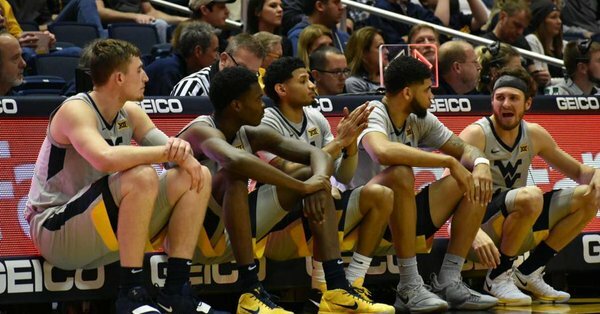 After a January that featured one win, Bob Huggins and the West Virginia Mountaineers are hoping for a much better February. Kansas State and Iowa State are both playing very well, so those two are going to be very tough. Tomorrow’s contest against the Sooners is undoubtedly one of the best chances remaining for the Mountaineers to pick up a win. Home against Texas the following Saturday is probably the next best opportunity. A one-win Big 12 season for West Virginia is a crazy think to thing about when you consider the expectations the Mountaineers had coming into the season. They were predicted to finish 2nd in the Big 12. They were ranked No. 13 in both of the preseason polls. Sure there are plenty of young players on the team, but there was more than enough experience back to get this team into the NCAA Tournament at the minimum. Returning big men Sagaba Konate and Esa Ahmad were getting help from incoming stud Derek Culver. The backcourt was worrisome, but Beetle Bolden was back to stabilize things and was set to be joined by some incoming talented freshmen, including Wisconsin Mr. Basketball Jordan McCabe and redshirt freshman Brandon Knapper. Well, to say the team has came up short would be a massive understatement. Sagaba Konate has been a no-show and the rumor mill has been churning as to why. Esa Ahmad has played so badly that at times it has appeared he is point shaving. Derek Culver was suspended for the first part of the season. Since rejoining the team he has been a bright spot, but not enough to result in wins. Bolden has had his moments, but between injuries and foul trouble, this season has been a massive letdown for him. The team has been plagued by turnovers. The turnovers combined with the underwhelming seasons by Bolden and Ahmad plus getting almost nothing out of Konate has resulted in this disaster of a season. There was one bright spot for Konate. He showed up big time against Pitt and came off the bench with seven blocks to lead the Mountaineers to a win. He also became the all-time blocks leader at West Virginia University. Oklahoma is coming off a terrible home loss to Baylor by a score of 77-47. The Sooners are 3-5 on the season in the Big 12 including 0-3 on the road with road losses to Texas, Texas Tech and Kansas. West Virginia was destroyed by Iowa State in their most recent game, 93-68. Lamont West led the Mountaineers with 24 points and went 5-for-7 from three-point range. The highlight of the game was undoubtedly the ejection of Bob Huggins. It needed to happen. Between the poor officiating and the way his team has struggled, a Bob Huggins ejection was bound to happen. Last year’s matchups with Oklahoma were memorable because it gave Jevon Carter the chance to shut Trae Young down. This year both teams are in a very different place after their star guards have moved on to the NBA. The Mountaineers pick up a hard fought win against the struggling Sooners. WVU finds a way to not turn the ball over so much and get a W over the cold shooting Sooners.